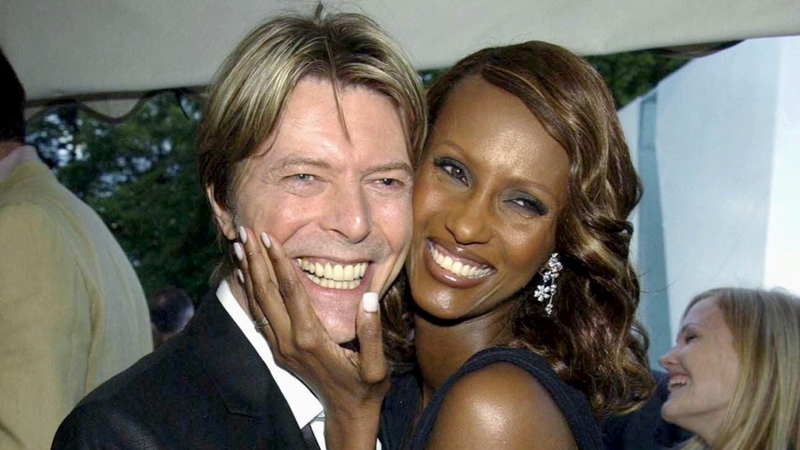 Supermodel Iman took to Instagram on Monday, June 6, to pay tribute to her late husband, David Bowie, on the 24th anniversary of their 1992 wedding. The black-and-white shot shows the couple, who met in 1990, all smiles as they embrace on the beach. "The best thing about me is you," the text overlay on the photo reads. Bowie passed away back in January after battling cancer for a year and a half. The couple had one child together, a daughter named Alexandria Sahra Jones. "June 6th," Iman captioned the gorgeous picture. "24th wedding anniversary #foreverlove"
Since Bowie's death on January 10, Iman has largely laid low, opting to focus on her privacy in the midst of tragic heartbreak. She was spotted out in February for the first time since his death and has shared a series of tribute to her late husband since.